My Favorite Visit of the Program! Our class’ visit to William Ivey Long Costumes was by far my favorite visit our class has done thus far in all of our excursions for Elon in NY. I greatly enjoyed the people we met there, especially William and Donny. I also enjoyed looking at the beautiful sketches. 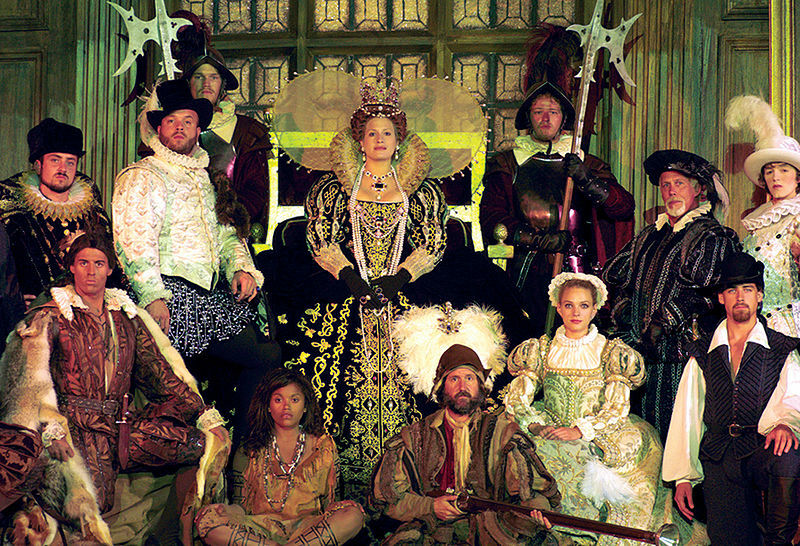 I was extremely impressed by the costumes that they make and the intricacy and creativity with which they are done. It was truly an art form, and as student of the arts, I really enjoyed having the privilege of being able to be up close and personal with the costumes. 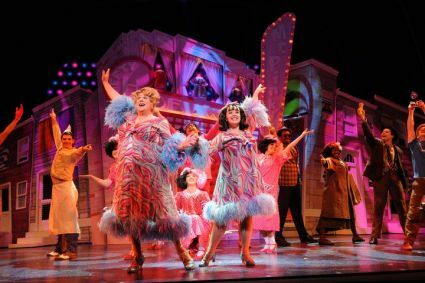 My favorite things we saw were the “Beautiful Girls Wearing Nothing but Pearls” costumes from The Producers, and the outfit Edna from Hairspray wears in “Welcome to the 60s!” I thought the beaded hat from “Pearls” was especially beautiful! I got a big kick out of it when our professor, Bill, put it on! I also enjoyed learning about how to take care of delicate clothes from people who really know what they’re talking about. When you really think about how much wear those clothes get being worn in eight shows a week for many months at a time, it’s no wonder they require special care. The vodka-water-fabric softener mixture is something I want to try sometime! I was also very interested to look into The Lost Colony after hearing them talk so much about it. I looked it up online and found some information on this site… http://www.thelostcolony.org/About_TLC.htm. The show features the story of the 117 men and women whose fate still remains unknown. 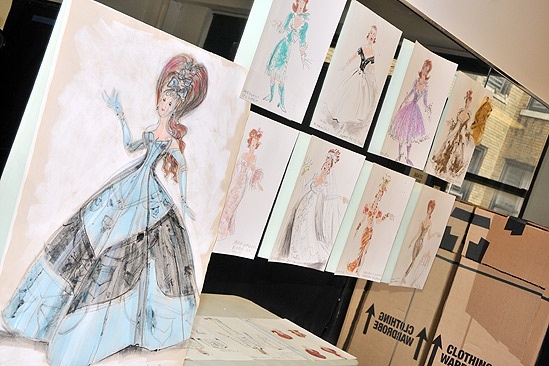 The costumes that William designed were again, just beautiful. I definitely want to be able to see the performance at some point. I think the most profound thing I realized from this visit was the impact of the costumes on a Broadway performance. Whenever I see a show from now on, I will be paying more attention than ever to the costumes the actors are wearing for sure!